With the development of E-learning software, it is now much easier to learn almost anything. E-learning programs have quickly replaced the traditional methods of learning. You can learn yourself and train your staff to enhance the productivity and quality of work. However, implementing new software at a workplace can be challenging. As the software development companies release the new updated of software quite often, you need to train your employees for using the updated versions. Once you subscribe to an online software training, you get the notification of updates as soon as they are released. Therefore, with e-learning software, you can train your staff online about the new updates without the need of any external support. E-learning programs are easy to learn as all the instructions to use the software are available online on the official websites. This eliminates the need for hiring the external software trainers which save you both time and money. You can have access to the e-learning programs any time throughout the day. This makes it possible for your staff to access the program and learn any time at their own comfort. Unlike conventional classroom learning, e-learning ensures that quick learners can finish their learning faster, which in turn increases productivity. In a 24 x 7 work environment where employees have different work timings, e-learning makes it possible to learn the software any time of the day or night. If you are running a multinational company with business in various countries, it is easier for you to reach your staff and trainers. Companies don’t need to invite trainers from different countries to train their staff. 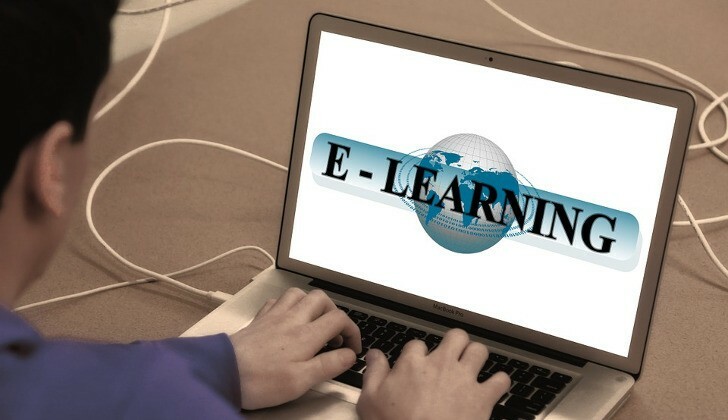 Most of the e-learning software come with the advantage of instant connectivity with their technical support in case of any problem. Unlike the traditional methods, the e-learning software saves you thousands of dollars on training. Earlier, where companies need to spend thousands of dollars on classroom training, infrastructure rentals, trainers and documentation costs. Moreover, you don’t need to spend again and again to train the new batches of employees. The same e-learning material can be used to train every new batch which reduced the costs of human trainers. E-learning also helps you save a lot of paper material as everything is available in the form of disks, e-books and online lectures. The same optical disks and e-books can be used to train every new batch eliminating the need for paper materials which helps save trees and our ecosystem. The e-learning software also helps you to create learning objectives for your staff. You can easily create learning objectives for your staff in terms that are specific and measurable. It is best to create the learning objectives in terms of specific elements that your staff should be able to learn on completion of the course. The most important thing that you need to consider while creating the learning objectives is what your employees will gain by using the e-learning software. Research shows that e-learning and blended learning programs lead to higher retention of knowledge. Your employees will be able to retain and use the knowledge that they learn from the program, which in turns boosts productivity. The e-learning software can be easily updated and refreshed whenever a new updated is released by the software maker company. Businesses invest millions of dollars in training programs and e-learning software to train their employees. However, the best returns are earned when the productivity is increased and the features of the software are fully utilized. The right e-learning software and training ensure that your employees have learned the required things that are required to boost the productivity and quality of work. This ensures a high return on investment. E-learning has replaced the traditional classroom learning methods in almost all the areas of training. These were some of the benefits of e-learning and how it increases the productivity and quality in organisations. E-learning offers a better return on investment as compared to classroom learning.